This is the second month that I’ve participated in the Sentence a Day Writing Challenge. I’ve tried my hand at journaling in the past, but have never been able to stick with it. This concept of a sentence a day seems to work for me! Aug 1st – Is a Tuesday, so today I am working which means I am visiting my patients and hoping to make a difference in their lives! 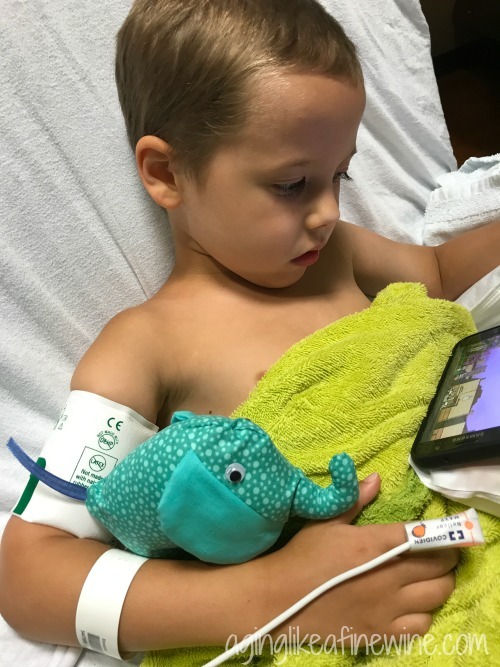 Aug 2nd – I sent a text to my son early this evening and received this response “on my way to the ER, Jacob broke his arm”, so immediately we were off to the ER to check on him where we found a super brave 5-year-old little boy waiting to be seen by the doctor. Aug 3rd – Results of our ER trip were that Jacobs’ arm was pretty badly broken, both bones and not a clean break; he will be seeing an orthopedic surgeon this morning to determine if he needs to have pins put in or if he feels he can set it, and I might add this little guy has not complained once of pain, and after his doctor visit three of the kids and I were off to Sweet Frog for some well deserved frozen yogurt. Aug 4th – Jacob is being put to sleep this morning and the surgeon feels that he can set his arm without the need for pins (relief); procedure went well with our little guy feeling rather sick from the anesthesia, but overall he did wonderfully! 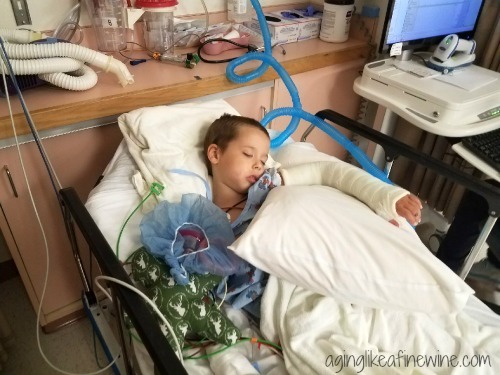 Aug 5th – Jacob complained a little at bed time last night that his arm was hurting but slept well and his mom and dad say he seems himself today; what a trooper! Aug 5th – I spent some time today cleaning out a few of my kitchen cupboards, I’m trying to get rid of things that are just taking up space and are rarely used, on my journey to become more of a minimalist. Aug 6th – Lots of laundry today, a trip to the grocery store, cleaned out one more kitchen cupboard and watched a couple episodes of our newly discovered British show, “Death in Paradise” with Paul. Aug 7th – I thoroughly enjoyed a quiet day at home getting some things done, followed by driving around an RV park that we have considered purchasing a lot in, but that definitely changed after we actually drove through it and ended the day by finishing a fun blog post called TBB Asks answering 23 random questions. Aug 8th – Awake, up early and off to a day at work making home visits and finished the day taking Gunnar on a nice walk. 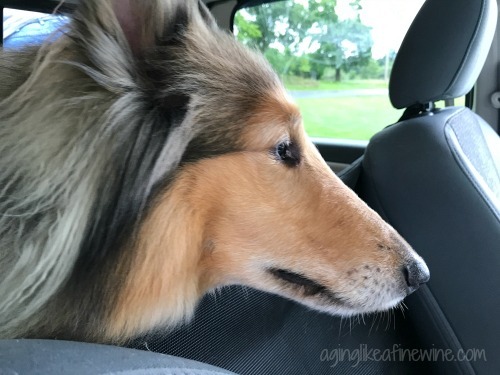 Aug 9th – Oh no, flew out of bed and dressed quickly; Gunnar is late for his grooming appointment! Aug 10th – Laundry, vacuum, cleaning up grandkids room, tried out an Amish cleaner on the kitchen cupboards and a nice lunch with friends. Aug 11th – It’s Friday and that means it’s off to work I go. 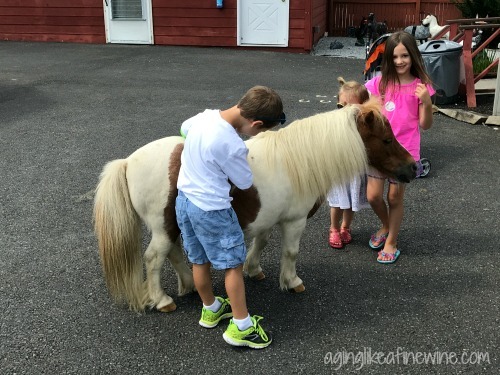 Aug 12th – Paul and I took the grandkids to the Land of Little Horses today which is near Gettysburg, PA and which in fact has lots of mini horses! Aug 13th – Achieved getting myself and 4 grandchildren ready for church and out the door on time, then we had a fun BBQ this afternoon at my son’s house to celebrate Paul’s birthday. 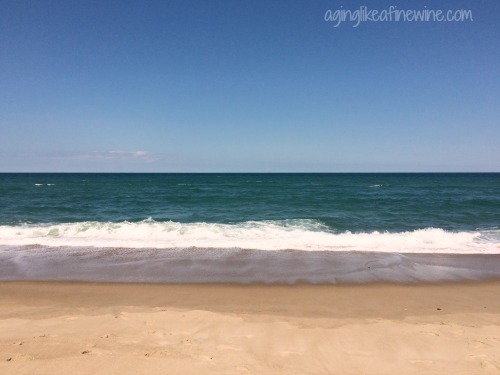 Aug 14th – Completed my post on Exploring the Northern Beaches on the Outer Banks! Aug 15th – It’s Tuesday so that means work and today was a meeting day, which adds hours to my day making for getting home at almost 7:00 pm (don’t you just love meetings!). Aug 16th – I’m redoing the grandkids room here at our house so I tore all of the decals off the walls and took everything out of everywhere with plans of going through everything and getting rid of stuff, (it’s a mess) Paul couldn’t believe I’m having the grandkids over tomorrow with the bedroom in that shape, but I said, “Aw, it’ll be fine” proving I’m an optimist! 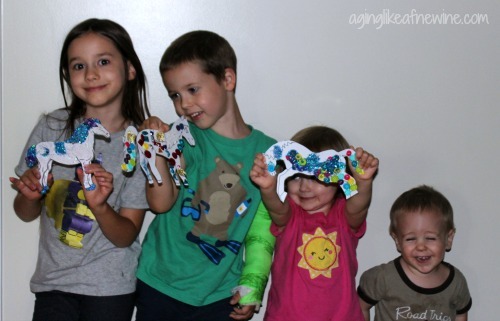 Aug 17th – And they arrived at about 9:00 and I was ready for them with plans to focus our day on horses in honor of our trip to the Land of Little Horses and you can read about that day along with today’s projects here, too much to put into one little sentence! Aug 18th – Working today and by the end of the day I wasn’t feeling well at all. 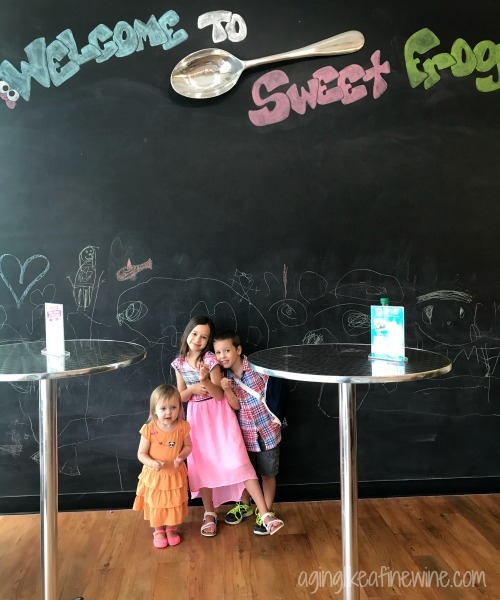 Aug 19th – I have a cold or some kind of upper respiratory virus, complete with lots of congestion, cough, stuffy nose and just not feeling well in general. 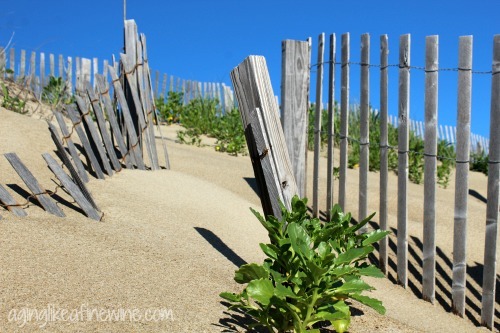 Aug 21st – I’m on the mend today; it’s so great to wake up and realize “wow I feel better” and just in time because Paul and I are meeting some friends for dinner, which turned out to be a really nice evening. 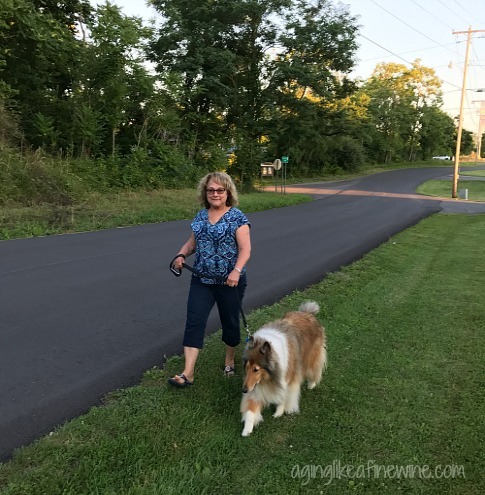 Aug 22nd – Feeling even better today and that’s really good because it was a work day, followed by a pleasant drive home and posting Party in Your PJs, a Tuesday evening link party. Aug 23rd – We are having a yard sale on Saturday so I have been trying to get things into the garage and on tables in preparation. Aug 24th – Washed some of the walls in the grandkids room and put up some of the new decals (I’ll show you the room when it’s done! ), priced yard sale things, went to the store and picked up a few things because our 7-year-old Maggie is spending the night with us tomorrow night. Aug 25th – Woke up to a beautiful day and hit the road to work and soon after my arrival at home my granddaughter arrived to spend the night; we watched The BFG (Big, Friendly Giant) together; it was so cute! 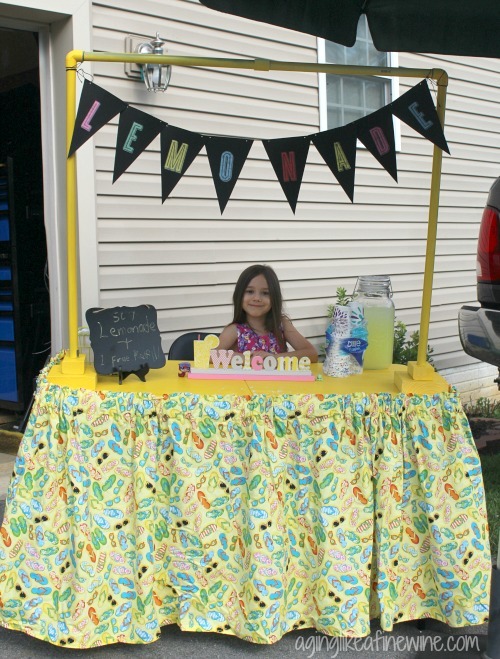 Aug 26th – We’re having a yard sale today and Maggie is selling lemonade at the stand I made for the grandkids last year; no one can hardly turn down a cute little girl with big brown eyes when she asks them if they want to purchase some lemonade! Aug 27th – Continued our yard sale today and loaded everything that didn’t sell into our truck immediately afterward and took it to the thrift store. Aug 28th – Today was spent cleaning up the house after having spent two days centered around yard selling. Aug 29th – My daughter and her family live in California and today is her birthday; Happy Birthday Jenny! 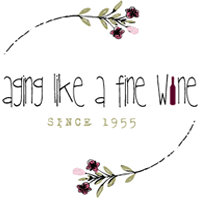 Aug 30th – I’m off to the hair dresser this morning to have my roots disguised as something they’re not, followed by a stop at TJ Max and dinner out with Paul. Aug 31st – I took the grandkids, along with their Aunt Holly, to Chuck-e-Cheese today for lots of fun eating pizza and playing games. And that ends the story of my August in a sentence a day! Thank you for reading about my month; I hope you enjoyed it! 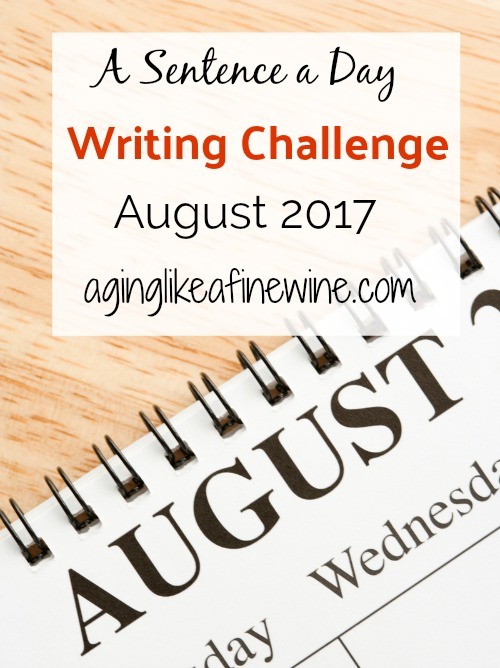 I hope you’ll stick around and read some more posts here at Aging Like a Fine Wine and then enjoy all of the other bloggers participating in the Sentence a Day Writing Challenge! This post will be shared at link parties found on my Where I Party page. He has been a real trouper! He is supposed to get his cast off this week. Thanks for reading! I think they’re fun to read too! Thanks for stopping by and reading mine! I think the sentence a day is fun too! Our little guy is doing really and should get his cast off this week.